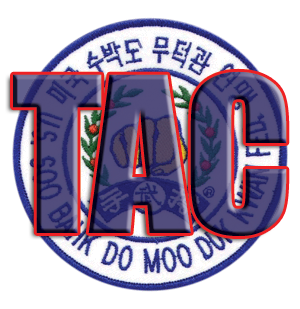 Members can attend any of the ten (10) upcoming Regional Dan Tests and fund-raising events, attend upcoming TAC Seminar appearances or attend the Moment With The Masters or Ko Dan Ja Shim Sa Visitor tracks. Event registration forms are available here. The TAC has completely revamped the visitor training tracks and schedule for 2012 so an attendeeÃ¢ÂÂs Moment With The Masters experience can literally be 1 to 8 days in duration and attendees can train as much or as little as preferred during their stay. All ranks can attend the 9th -11th and 3rd Dan & Up can attend all other days + spouses or parents are invited even for the week. Attendees can celebrate the Moo Duk KwanÃ¢ÂÂsÃÂ® 67th Anniversary at the midweek banquet and meet the international World Moo Duk Kwan Symposium delegates. Attendees can configure their personalized training experience to fit their schedule, their budget and to match their physical condition whether they prefer to just enjoy the serene, mountain setting of Camp Oakbridge in Ramona, California or just relax and recharge their spirit by soaking up the social energy of this unique experience with fellow members. Visitor training tracks are separate from the Ko Dan Ja candidate track and attendees may participate in only preferred sessions. Sam Dans will learn material required for future Ko Dan Ja testing and become familiar with the Ko Dan Ja Shim Sa process. Who Will You Be Joining At The Event?